This could be your amazing photo by Caliphotography! *Prices vary by package - Caliphotography has been one of our longest supporters and every photo they sell from Femmewalla they generously donate all proceeds to Femmewalla and our charity the Unforgettables Foundation. So go ahead, treat yoself, buy those photos knowing your money is going to a great cause! 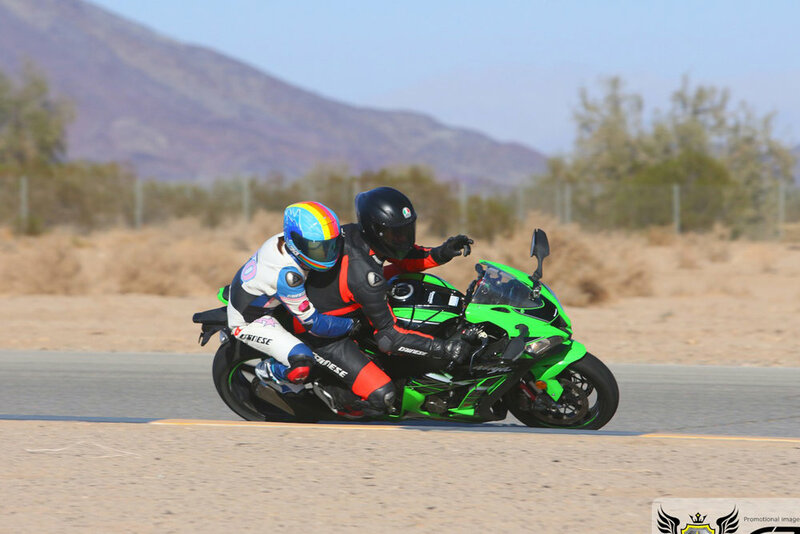 $40 - Dale Kieffer of Racer’s Edge Performance will be on site to give you the ultimate training tool - POV footage of you on track as Dale follows your laps and makes studious notes. When you return to the pits Dale will download the footage and review with you your strengths and weaknesses on the track, and arm you with the knowledge to go forth and improve those laptimes some more almost instantly! $40 - Everyone knows the most important upgrade you can get for your machine is a dialed in suspension set up specifically just for you! AJ of Paradigm Racing will be at Femmewalla helping you fine tune your front and rear suspension for optimal performance on the track and on the street.